And the house says welcome back. Looks beautiful. Glad you’re home safe but sorry you had to go. Thanks for spending your vacation here. We had a great time. I’ll explain in the post that’s coming up. 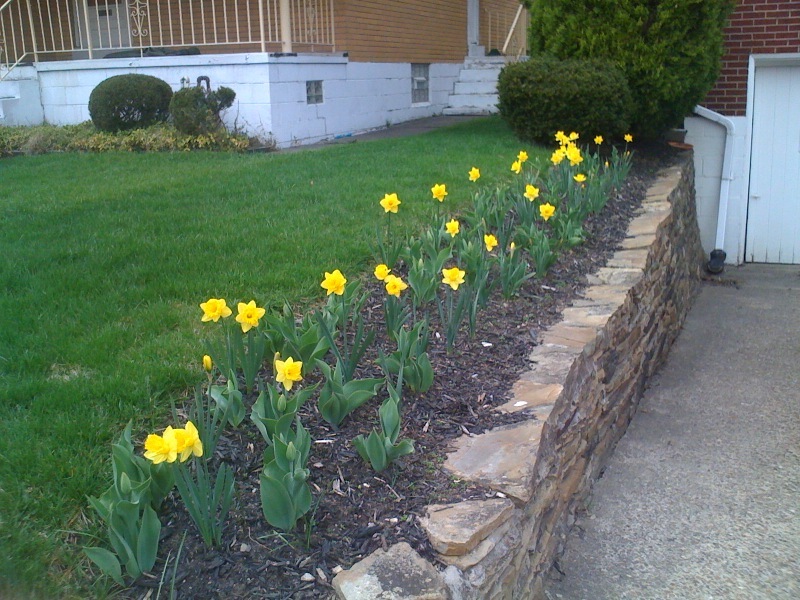 I almost asked you to do that, because I thought we’d miss both the daffodils and the tulips, which haven’t popped yet. Welcome home! See you soon! As in next week’s show, right? And maybe even sooner on Twitter?